On Thursday evening at OR + SIA in Denver, industry members and icons gathered in the Colorado Convention Center for some important work (and play): recognizing the various individuals, organizations and brands that have gone over-and-beyond to encourage and increase outdoor sports participation. That night, winners were announced for the annual Outdoor Inspiration Awards, which were staRted by Adidas Outdoor in 2011. 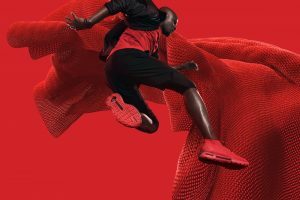 “In today’s topsy-turvy world, inspiration is more important than ever,” said Greg Thompson, the managing director of Adidas Outdoor.  Individual: Kimberley Barreda – para-athlete and founder of Unlimbited, Kim has been an advocate and proponent of maximizing the potential of the disabled population through outdoor sports programs.  Retailer: Gear Coop – Combining aspects of local advocacy, festival-like special events, and e-commerce; Terry Lee and his partners at Gear Coop have grown a community of young and enthusiastic outdoorists.  Non-Profit: Leave No Trace Center for Outdoor Ethics – Organization focused on promoting and inspiring responsible outdoor recreation by all outdoor enthusiasts.  Manufacturer: United By Blue – Provides responsibly made and sourced apparel and accessories while working to raise awareness for ocean and waterway conservation.  The Youth Award: Margo Hayes – National champion in women’s sport climbing and first woman to ascend “Bad Girls Club,” one of Colorado’s most difficult climbing routes. The ceremony also included a video memorial of inspirational filmmaker Warren Miller, who passed away the day before. Chatting with the folks at the Downlite booth, some concerns were expressed about the near-term future of recycled down. As it turns out, recycled down is growing in popularity among outdoor apparel brands, but the rise in usage is putting some pressure on supply. It’s not that enough down isn’t out there, but most of it still ends up in landfills at the end of use of the stuffed product. Currently, the price of recycled down is competitive with new, responsibly sourced down, but that could change as demand grows. This suggests members of the outdoor industry need to pull together to lead efforts to collect old down goods and send them back up the supply chain, starting with collection at retail stores, with help from manufacturers moving the down pack up the pipeline. If not, recycled down could see a short shelf life. 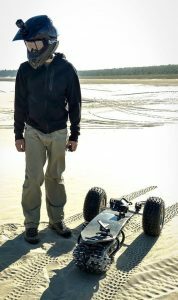 Keep an eye on a new and emerging group blowing out of the northeast; Maine Outdoor Brands. MOB is committed to working with individuals and organizations from the public and private sectors in helping to drive Maine’s $8.2B outdoor recreation economy, and in the process, create a brighter economic future for the state. Started by Maine-based outdoor PR/marketing veterans Nancy Fendler (Fendler PR) and Jim Hauptman (Blaze Partners), the group counts several outdoor product brands among its members, including Sterling Ropes, Old Town Canoe, Stabil, Good to Go, Hyperlite, LL Bean and Malone, among many others, and has just hired George Kiesewetter as the executive director. Of course, the group’s mission is to drive investment and participation in Maine’s outdoor economy, but we wouldn’t be surprised to see efforts that streamline things for retailers doing business with Maine’s outdoor brands. 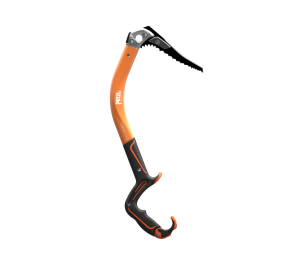 Ice climbing is seeing a growth surge, both in participation and race events, and Petzl was right on trend with three all-new or updated ice tools that provide greater versatility, improved function and better performance for all disciplines of the sport. Benchmark tools in their category, the NOMIC and QUARK, see enhanced designs, while the all-new ERGONOMIC joins the collection. 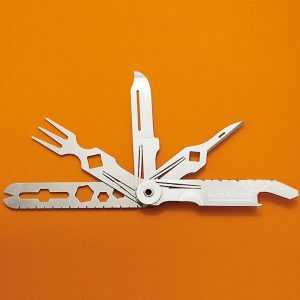 Each tool was designed to excel at different aspects of ice, mixed or alpine climbing. The all-new ERGONOMIC ($360) is the bridge between the NOMIC and its predecessor, ERGO, offering more utility as a specialist tool, meaning it functions equally well on steep ice as it does on overhanging dry tool and mixed climbs. It comes equipped with a redesigned DRY pick that offers more aggressive teeth, tapered from 4mm at the top to 3.2mm at the tip. A new over-molded glass filled nylon handle makes the upper grip more durable. A unique lower grip is larger in diameter with flat sides which gives a more secure grasp due to a higher volume of contact area, said the company. 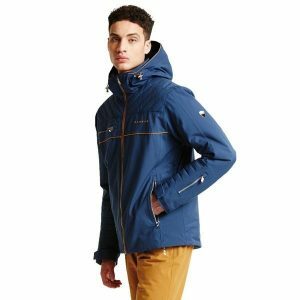 And if you haven’t checked out Dare 2b, a newish brand from the Regatta group, you are missing out on some sharply designed, tech-loaded ski outerwear pieces that come at a pretty attractive price point – like all the bells and whistles in top of mountain protection and $200 to $350. Pictured here is the men’s Expose jacket. Under Armour, meanwhile, launched UA HOVR, the brand’s latest in footwear cushioning technology. The UA HOVR platform launched with two running styles — the UA HOVR Sonic and UA HOVR Phantom — and will continue to expand into other key footwear categories in the coming seasons. “This new pinnacle cushioning system delivers on the need to have a shoe that provides not only a cushioned ride, but also energy return,” said the company. The UA HOVR midsole is made of a proprietary foam compound, made in partnership with the Dow Chemical, possessing a super-soft durometer with lots of cushioning and shock absorption for every single foot strike. A key component of the UA HOVR cushioning system is the ‘Energy Web,’ says UA, which is a mesh fabric that wraps the cushioning core to deliver strong responsiveness and energy return. Once known predominantly for its unique outdoor pants, Mountain Khakis has greatly expanded its apparel collection during the past few seasons. That includes an expanded line of mid layer technical pieces. The Poker Flats Fleece, for instance, is responsibly sourced using recycled polyester, and features a colorful Teton-inspired geometric pattern named after Poker Flats, a small inholding located in the southern reaches of Teton National Park. Recycled poly fleece saves approximately 25 plastic bottles per pullover from the landfill. Meaningful details include an extended 9.5″ zipper for easy on/off, protective windflap, low-profile performance thumb loops and Raglan sleeves for no-chafe under backpack straps. MRSP is $84.95. Sport Hansa has added Swiss Advance’s outdoor kitchen equipment and tools to the stable of European brands and prodcuts it distributes in the U.S. Swiss Advances offers beautiful bamboo bowls and sustainably produce cutlery and tools, such as the new Chrono N5 minimalist kitchen tool. And speaking of new brands to the U.S., Czech Republic brand Direct Alpine had its North American coming out party at OR, now available for sale stateside. The brand recently established local distribution and operations in Eagle, Colo. Direct Alpine produces 95-percent of its product collection in Europe, adhering to strict environmental and manufacturing standards. This provides full oversight into the design and production processes, from CAD drawings and sewing to product testing and quality control. Direct Alpine offers the latest technologies, premium materials, and a distinguishably European approach to design. 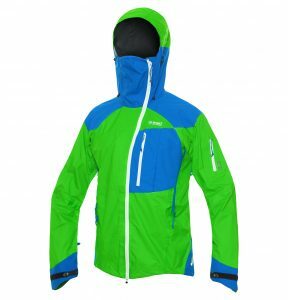 Leading off for the brand, is the Guide Jacket a lightweight, low bulk technical hardshell that delivers full weather protection for backcountry skiing, ice climbing, mountain biking and backpacking. It’s made with Toyota, Gelanots HB waterproof fabric provides excellent breathability (20,000mm / 39,000 MVTR), plus added Gelanots fabric reinforces high wear areas along the shoulders and back. And in what could be the first application combing military-grade Polartec Alpha insulation with Polartec NeoShell technologies, the Heatwave+ Silverton Component Glove from Seirus is specifically designed for the backcountry skier and rider with a dual-component glove consisting of a highly breathable waterproof outer shell coupled with an insulated insert designed for going up and downhill. 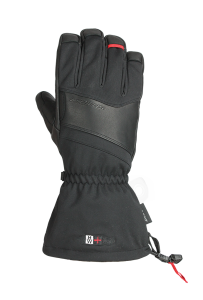 The stand-alone outer glove features waterproof NeoShell and gauntlet cuff to offer dexterity, breathability, and protection, while the stand-alone lightweight inner component glove stays warm even when wet thanks to 160g of Polartec Alpha insulation. The glove is also made with Seirus’ proprietary wicking and reflective Heatwave lining that amplifies glove temperature through a kinetic and reflective process that harnesses the wearer’s body warmth. Premium leather and a reinforced thumb crotch defend against wear and tear. More about this to come in the next print issue of Inside Outdoor. Good review of the show and always nice to learn about the new items when you are not able to get out of your booth!! Glad O Loves M Bags decided to continue going to the show since Denver really proved to be worth everyone’s while!